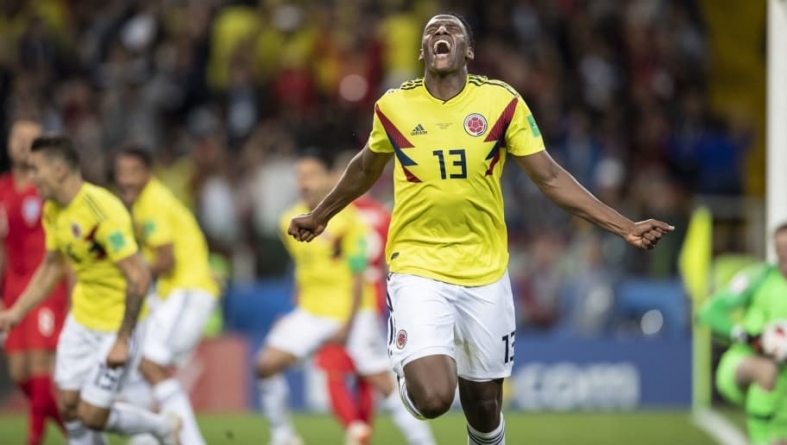 Colombia’s Yerry Mina whose added time goal nearly compound England’s sail into the Russia 2018 World Cup semi finals is now a target by Manchester United. 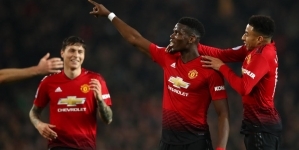 The Old Trafford side shifted attention to the Barcelona centre back after they had failed to persuade Leicester City to part with Harry Maguire. According to ​Sky Sports, the Colombian could potentially move to Old Trafford for around £30m – less than half of the £65m which United were prepared to spend on Maguire. The Red Devils tried to sign the England centre back, but the Foxes were determined to retain him and are set to offer him a more favourable contract. United’s interest in Mina is potentially very bad news for ​Everton, as the Toffees have been linked with the 23-year-old. Unlike Everton, United can offer him ​UEFA Champions League football and a reasonable chance of challenging for the Premier League title. Whatever happens, Mina is unlikely to stay at the Nou Camp, having angered the club’s hierarchy by publicly complaining about his lack of game time. Mina played just five matches in La Liga for the Catalan side last season, after joining them from Brazilian side Palmeiras for €11.8m in January. Like Maguire, Mina enjoyed an outstanding FIFA World Cup in Russia, showing remarkable maturity and composure at the back and scoring three goals – including Colombia’s last gasp equaliser against England in the round of 16. 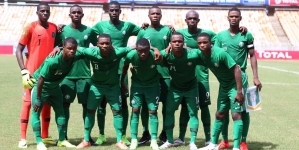 In addition, Mina seems to be ideally suited to the demands of Premier League​ football. Equipped with outstanding technique and physical strength, as well as exceptionally fast reactions, he is unlikely to be fazed by the physicality or pace of the English game. United have made it very clear that they are dissatisfied with their current crop of centre backs, so Mina could be just what they need.